AAPIOS, the American Association of Physicians of Indian Origin - Sleep, is a subchapter of the AAPI (American Physician of Indian Origin) and was formed five years ago by fellow Sleep Physicians of Indian Origin, to provide a platform and forum for interaction amongst sleep physicians of Indian origin in the US with their counterparts in India. AAPIOS not only provides networking opportunities to sleep physicians but also recognizes and honors outstanding contributors in the field of sleep medicine including research awards, leadership awards and life time achievement awards. We appreciate the continued support of our lead sponsor, Fisher & Paykel, and other sponsors for their support. 1. Exciting Interactive Session On a Topic Related to Business of Sleep Medicine by a Renowned Speaker. 2. Presentation of Life Time Achievement Award and Academic Excellency Awards. 3. Trainee(Current Fellows in Sleep Medicine) Research Awards. 4. Gala with Bollywood Music and Entertainment. 5. Networking Opportunities and Career Advancement Opportunities. We look forward to seeing you at this year's AAPIOS Dinner Meeting in Boston. Please share this with your sleep medicine colleagues. Attended by over 200 sleep physicians from all over the United States and some from India, the 6th Annual AAPIOS Dinner Meeting at Embassy Suites Denver on June 12th was a grand success. Coming soon - Details about the 7th Annual Dinner Meeting alongside the APSS Sleep Meeting in Boston, NY in June 2017. The 6th Annual Dinner Meeting in Denver, CO was a grand success, thanks to the overwhelming support of our patrons and sponsors! Pictures of the event coming soon. AAPIOS Elects New President for 2016 - Dr. Umakanth Khatwa, MD from Boston's Children's Hospital. We are pleased to cordially invite you and any of your sleep medicine colleagues that might be interested to the 6th Annual AAPIOS (American Association of Physician of Indian Origin - Sleep) dinner meeting in Denver on June 12th, 2016. AAPIOS, the American Association of Physicians of Indian Origin - Sleep, is a sub-chapter of the AAPI (American Physician of Indian Origin) and was formed five years ago by fellow Sleep Physicians of Indian Origin, to provide a platform and forum for interaction amongst sleep physicians of Indian origin in the US with their counterparts in India. We appreciate the continued support of our lead sponsor, Fisher & Paykel, and other sponsors for their support. AAPIOS not only provides networking opportunities to sleep physicians but also recognizes and honours outstanding contributors in the field of sleep medicine including research awards, leadership awards and life time achievement awards. 1. Exciting Interactive Session on Future of Sleep Medicine From A Business Perspective by Jaspal Singh, MD (Carolina Health System). 2. Presentation of Academic Sleep Medicine Leadership Excellency & Life. 3. Time Achievement Awards to Two Distinguished Sleep Medicine Physicians. 4. Trainees(Current Fellows in Sleep Medicine) Research Awards. 5. Gala with Bollywood Music and Entertainment. 6. Networking Opportunities and Career Advancement Opportunities. 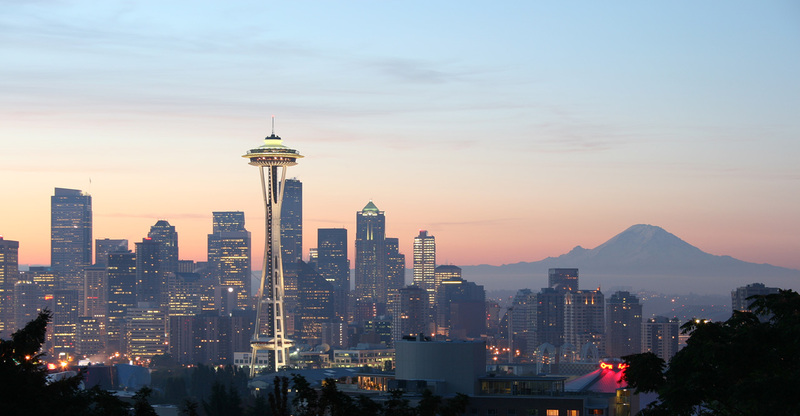 We are delighted to inform you about our 5th Annual Dinner Meeting on Sunday, June 7th, 2015 in Seattle alongside the APSS / AASM Annual Sleep Conference. Please save the date and plan to attend with your friends and family. Try to spread the word and encourage other colleagues also to attend. This year we are planning some exciting program and details will follow. The past 4 annual dinner meetings of AAPIOS have generated a lot of enthusiasm and positive energy which we hope to continue. We are recognizing two outstanding individuals who have made tremendous contributions to field of Sleep Medicine in USA and in India the names of which will be announced soon. We are also inviting scientific papers for AAPIOS Award-2015 from Sleep Medicine Fellows in training and top two winners will be recognized with certificate and cash award. Last date for sending the papers will be May 20. Thanks to the generous support of our lead sponsor, Fisher and Paykel Healthcare, we are pleased to inform you that this year's dinner meeting is entirely free of cost to all attendees! · Topic: An exciting interactive session on the business of Sleep Medicine by Dr. Bart Sangal, MD, a leading sleep physician and director of Clinical Neurophysiology Services, Sterling Heights, MI. If you are looking to improve your strategies for treating or researching sleep disorders or if you want to learn new methods for patient care, and seeking networking opportunities; you must attend! Our Main Sponsors for the Event are Fisher Paykel Healthcare and Jazz Pharmaceuticals and we thank them for their continued support. Hope to see you all with friends and family during the event in Seattle. RSVP by email to the President or Secretary will be greatly appreciated. Pictures from 4th AAPIOS Annual Dinner Meeting, Minneapolis, MN.